Several announcements have come from the Orlando theme parks lately and Universal Orlando has added another one to the mix. The Orlando theme park resort has officially announced TRANSFORMERS: The Ride in 3-D will be added to its Universal Studios theme park. Already a hit attraction at Universal Studios Hollywood and Universal Studios Singapore, this mind-blowing attraction will now thrill guests at Universal Orlando. Universal Orlando aroused fan curiosity 10 days ago on Facebook saying they had a major announcement slated for November 1st. However, the countdown clock that went with the announcement gave some Facebook fans an early glimpse of the announcement. The clock was titled “Transformers Announcement”. Universal quickly pulled the clock title. Although rumors swirled about the Transformers attraction announcement some fans were also hoping for a Wizarding World of Harry Potter expansion announcement that never came. 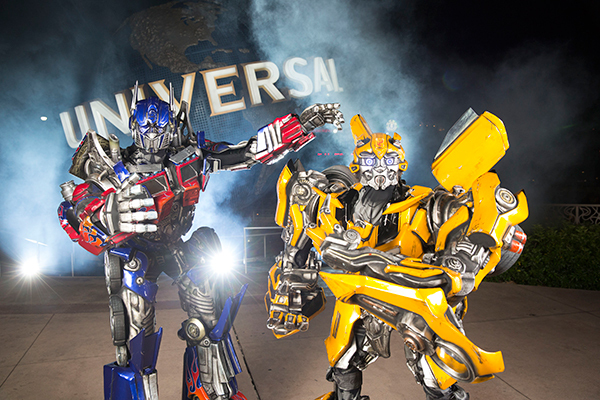 TRANSFORMERS: The Ride in 3-D has “wowed” guests at the other Universal Studios locations. Some guests have compared it to a combination between Harry Potter and the Forbidden Journey and The Amazing Adventures of Spider-Man. Some have compared it to the Simpsons attraction. 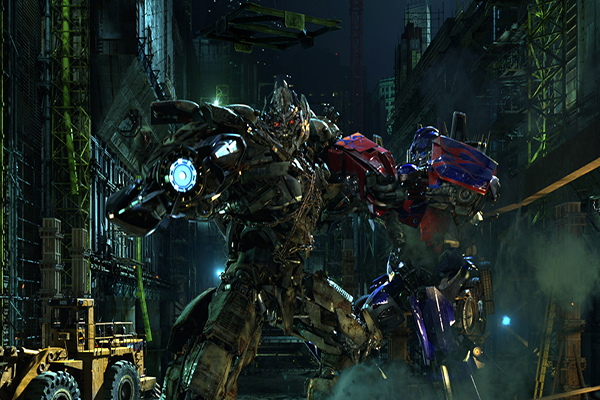 TRANSFORMERS: The Ride places visitors in the heart of the action as they, along with the help of Bumblebee and Optimus Prime, must protect the AllSpark from falling into Decepticon hands. Riders will hop inside an EVAC vehicle and are pulled into some of the most stunning visual effects of any theme park attraction on the planet. 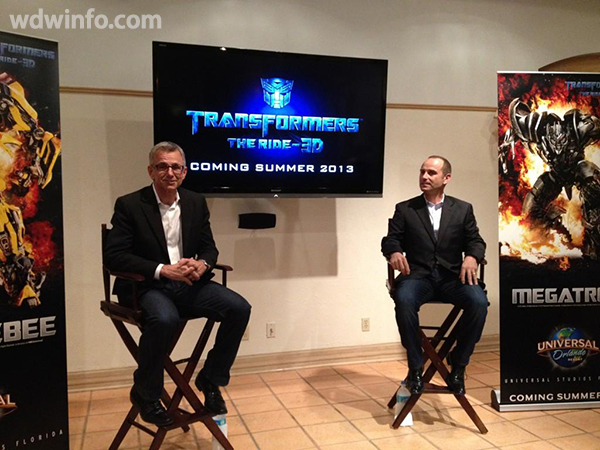 Licensed from Hasbro and part of the hit movie series, TRANSFORMERS: The Ride 3-D will open to guests at Universal Studios Orlando in the summer of 2013. Some Universal fans have speculated the ride is already under construction allowing Universal Orlando to open the attraction sooner rather than later. When the attraction opens next summer, expect it to be one of the most popular rides at Universal Orlando. It took Universal Studios Hollywood and Singapore by storm and the same is expected at Universal Orlando. Universal Creative has another hit on its hands and it is making its way to Orlando. Move over Harry Potter’s Forbidden Journey and Spider-Man, you’ve got company. Wizarding World of Harry Potter grand opening leaked! !